The word ‘dietitian’ doesn’t conjure up the image of a ruthless political fixer but members of the South African branch of the profession have been behaving in ways that would elicit admiration from a corporate lobbyist. Their surprisingly wolfish teeth have been on display during a long-running trial that seemed intended to take down senior nutrition scientist Professor Tim Noakes. A single tweet on the benefits of a low carb diet for weaning that he sent three years ago triggered a complaint which escalated into a full-scale hearing. Noakes faced ten charges of unprofessional conduct. I wrote about it here back in December 2016 but I think the saga is worth updating. For a start the way events unfolded showed just how wrong was my naïve belief that dietitians would respond to reason, research and evidence. The good news, however, is that their inflexible attitude in South Africa and elsewhere has provided the impetus for a grassroots diet and lifestyle revolution – initially in the treatment of diabetes – that no longer relies on change being handed down from above. Actually, at the beginning of this month it looked as if sanity would prevail when Noakes was found not guilty on all charges. But remarkably, this vindication of the high fat low carb (HFLC) diet, had absolutely no impact on the advice offered by the dietitians’ associations. For recent details of the trial I have relied heavily on accounts posted on Foodmed.net by the indefatigable journalist Marika Sboros. Do visit for further information. Then last week the HPCSA (Health Professions Council of South Africa), the body which had set up the committee to hear the case, announced that it was appealing against the decision. To be clear, the hearing was a full-blown investigation that dragged over three years. Four of the five-person committee, headed by an advocate (barrister), signed the 60-page judgement. “The pro forma complainant has not proven, on a balance of probabilities, that the respondent (Noakes) gave unconventional advice or advice which is not evidence-based.” In other words, not only was advocating low carbs not unconventional but it was backed up with good evidence. So when the HPCSA announced it was appealing the decision there was a outcry on social media. Just one example: ‘This beggars belief. The prosecution could only produce a single meta-analysis to support their position, and they had three years to make their case. The defence produced 47 RCTs,11 meta-analyses, and 28 intervention trials in favour of LCHF (low carb high fat).’ A key part of the original charge was that there was no evidence for the low carb approach. The verdict suggested that the prosecution was either culpably ignorant or deceitful. What the fall-out from the Noakes trial suggests is that the existing mechanism for applying evidence, for changing health policy when the evidence changes is now bust and needs a serious redesign. Pilloried for following the scientific method. Noakes is a very eminent scientist- 550 peer reviewed publications and two life time achievement awards – who plays by the evidence based medicine book. Change your position when the evidence clearly changes. For years he had advocated a low fat diet but then was persuaded to switch by the evidence for low carbs. Noakes also seized the opportunity the trial gave him to educate his accusers in benefits of low carbs, presumably in the optimistic belief that, having seen the evidence, the dietitians would at last start to take it seriously. He presented over 6000 pages, 1200 slides and more than 340 publications and articles on LCHF. It includes RCTs (randomised controlled trials) – the ‘gold standard’ of scientific research. The dietitian’s lobby was apparently equally unimpressed, or maybe also preferred to ignore, further testimony from Zoe Harcombe about the lack of reliable evidence supporting the original decision to adopt a low-fat policy in the early 1980’s or the research by American science writer and author Nina Teicholz, published in the BMJ, analysing failure of the American healthy eating guidelines to properly consider evidence and trials supporting the low carb approach. The one member of the committee who dissented from the ‘not guilty’ verdict gave reasons which raises serious questions about how evidence for medical treatments should be assessed. His reason for finding Noakes ‘unprofessional’ was because he gave advice that was “unconventional in the extreme”. In the UK it is approved for use in childhood epilepsy. He also said that the absence of any recorded harm was ‘a fortunate consequence’ and not an indication of innocence since it did not exclude “unreported and presently unknown evidence of harm.” Hard to see any treatment ever getting past that one. In any discussions of the low fat diet, the issue of vested interests is never far away. It would, of course, provide an explanation for the apparent lack of interest in the evidence. Noakes had provided a list of sponsors of ADSA showing they were ‘largely carbohydrate makers, including Health Connection (grains, sweeteners etc); Huletts (sugar); Kellogg’s; Nestle Nativa (infant formula!) and ProNutro (grain and sweet products). In her TV statement after the verdict the president went on TV assure listeners that nothing would change and that ‘we will never compromise ADSA’s independence as a result of corporate sponsorship.’ Perhaps the almost total lack of potentially compromising sponsors should be one reason for giving the LCHF evidence more credibility. So what are the take away messages from the sorry affair with Noakes facing the cost and frustration of yet more time in court for being a proper scientist? It has shone an unforgiving spotlight on the poor quality and expertise of the ‘conventional’ position and the lack of any adequate mechanism for delivering an evidence-based change in policy. It also makes it clear that faced with such conventional intransigence, the only sensible response is direct action. Enough of following the nostrums of a wealthy metropolitan elite which has ceased to listen or deliver benefits to it constituents. This is certainly what is happening in the UK where a radical doctor and patient alliance is driving a grass roots revolution around the treatment of diabetes with a low carb diet. One simple and effective guerrilla tool is the glucose meter, which can rapidly reveal how much greater the blood sugar rises following an official low fat meal compared with one based on low carbs. Another involves gathering data from a large on-line diabetes patient support group which is following a low carb diet with great success. At diabetes.co.uk (not to be confused with the official charity Diabetes UK) they have 100,000 plus ‘anecdotes’ from patients who lost an average of 8kg in a few months. Not a massively expensive randomised trial but impressive evidence, cheaply collected, which so far Diabetes UK has shamefully contrived to ignore. For more details on this grass roots revolution see my Daily Mail feature. This is only the beginning. 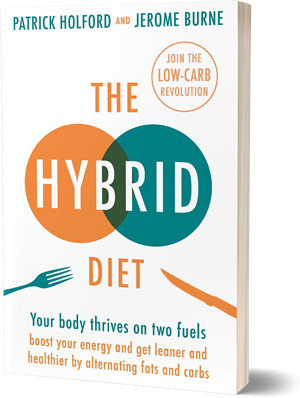 There are good physiological reasons why the low carb diet, with its ability to bring down glucose and insulin, could very well also prove beneficial against other metabolic disorders such as cancer, Alzheimer’s and osteoarthritis. Its lack of potential for billion dollar sales will make conventional trials hard but already there is a ground swell of doctors who are interested in expanding the patient driven approach that is getting results in diabetes. Over the next three months there are at least three meeting for doctors focused on using a lifestyle approach. Bringing a serious lifestyle approach to treatment raises the issue of how best to show evidence for safety and effectiveness because it doesn’t involve just doing one thing. As well as diet, there’s exercise, checking vitamin and mineral deficiencies, social factors and so on. Then putting the patient in the centre means that there won’t be a one-size-fits-all for each intervention. Hard line critics scoff and wheel out familiar accusations of evidence-free treatment because a heavyweight RCT is not appropriate to this approach. What’s interesting, though, is that the current pharmaceutical approach to treating older patients (polypharmacy) also rapidly becomes RCT free. Following the guidelines involves dispensing maybe 10 or more drugs. Each may have been trialled but the overall package is never tested. One way out might be to compare two different protocols– a drug combination based on current guidelines compared with a combination of life-style approaches tailored to each patient. Objections include the risk of not following the official guidelines for treating symptoms such as blood pressure, cholesterol and the rest. But the experience of diabetes.co.uk shows it can be done. Sixty percent of the drugs supplied in 2015 had no RCT evidence. They did increase survival time by between 1.4 and 15.7 months but when quality of life and toxic side effects were taken into account ‘the majority of the drugs failed to show any evidence of meaningful clinical benefit.’ The whole exercise had cost the UK taxpayer over £1.2billion. (Article). Yet no one has been called to account. A recent attempt to allow end stage cancer patients to choose to have non-conventional treatment was blocked in Parliament on the grounds it would give ‘false hope’. That would seem to be just what the Cancer Drug Fund has been doing. I certainly hope that all the die-hard defenders of the status quo are making plenty of witnessed and written statements of their position. That will furnish evidence in their future trials for malpractice. Thank you Jerome – you have the whole sorry tale in a nutshell here. I still feel excited we are on the edge of a tidal wave of change – a nutritional and/or healthcare renaissance, but South Africa certainly is still fighting to stay in the dark ages!! Very good post but it is not clear about who are the parties to this dispute. Was this a court of law, federal or local or was it judgement by a professional organization. And what was the nature of the original charges? The HPCSA conduct at the hearing was just incompetent and Tim Noakes took them apart. They tried to rig the hearing but Noakes was able to resist that. My fear is that they’ll try again for the idiotic appeal. All this nonsense was about one reply to a tweet where he recommended eventually weaning an infant onto real foods in the LCHF way. A dimwit dietitan made a complaint to the HPCSA and they thought they’d found a way to silence this talented and principled man. The dissenting member of the panel was incoherent. The baffling reasons for him not agreeing with the rest of the panel were free of any logical thought. If he’s a doctor, I despair. The same shadowy cabal tried the same thing in Australia, with a Surgeon who advocated his T2 diabetic patients consider a LCHF diet. For a few years, he was ‘officially’ muzzled and forbidden from doing so, but our health practitioners regulatory agency has, late this year (2018) not only reversed their position but profusely apologized for it’s past action. Now THAT is what I call ‘vindication’.